A productivity application for macOS, which boosts your efficiency with hotkeys, keywords and text expansion. Search your Mac and the web, and control your Mac using custom actions with the Powerpack. Alfred is a tool in the Application Launcher category of a tech stack. Stack Overflow, Dropbox, Zendesk, LastPass, and GNU Bash are some of the popular tools that integrate with Alfred. Here's a list of all 7 tools that integrate with Alfred. Here’s a list of reasons why companies and developers use Alfred. Here are some stack decisions and reviews by companies and developers who chose Alfred in their tech stack. I use GNU Bash because it helps me get the job done. While I don't code as much as I use to, I still use the terminal daily to run commands that help me get things done faster than I can using a GUI & Mouse. What's great is you can use Bash with Alfred so you can have the best of both worlds. 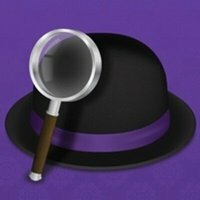 Show more stack decisions and reviews about Alfred.